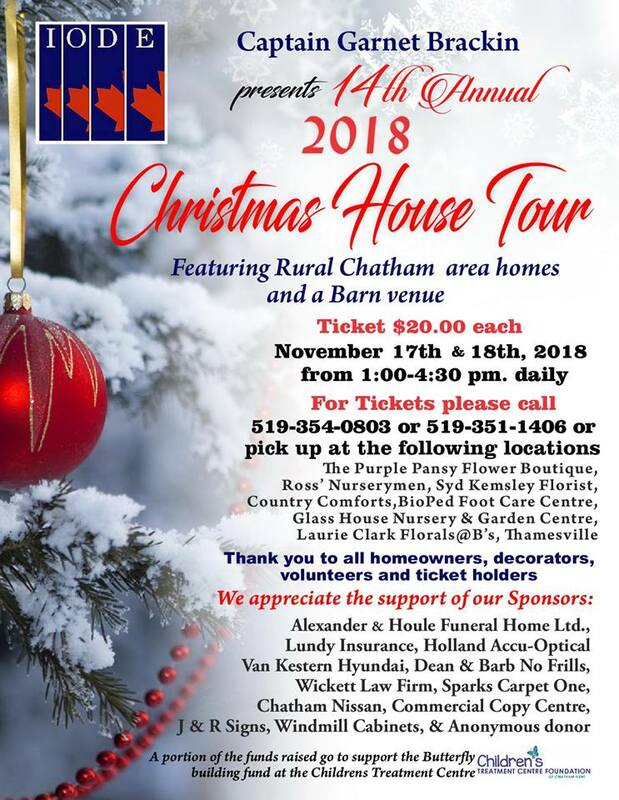 It’s a chance to see a number of local homes, churches, and barns all decorated for Christmas by local florists and growers. Tickets can be purchased in Chatham at The Glasshouse, The Purple Pansy, Syd Kemsley Florist, Country Comforts, Ross’ Nurseymen, BioPed Foot Care Centre, and at B’s Hive in Thamesville. A portion of the funds this year will go to support the Children’s Treatment Centre Butterfly Building Campaign.